SMOK has certainly been an impactful brand on the market for years, releasing an abundant amount of the industry’s most iconic vaping devices and tanks. Maintaining its consistent flow of releases and expanding its already massive collection, SMOK introduces the latest in vaping, the SMOK Stick V9 Max Vape Starter Kit. The SMOK Stick V9 Max Vape Starter Kit consists of the SMOK Stick V9 Max Battery and the SMOK Stick V9 Max Sub-Ohm Tank. The Stick V9 Max Battery is a mere 28mm in diameter and is constructed of stainless steel materials. It comes equipped with an integrated 4000mAh rechargeable battery and features an intelligent battery life indicator to allow for constant battery monitoring. With a simple press of its single button operation that features a pentagon firing mechanism, you’ll enjoy its direct voltage output system, which uses a ‘smart’ mechanical-style experience. While the performance is based on the current state of the battery, the Stick V9 Max Battery is capable of reaching up to a 60W output, and comes coupled with several protection features for peace of mind. The SMOK Stick V9 Max Tank is constructed of stainless steel and pyrex glass, and features a massive 8.5ML e-liquid capacity with its bubble glass. 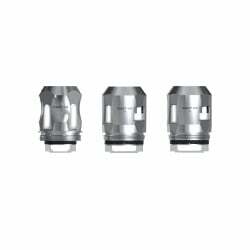 It utilizes a 16mm wide Delrin wide bore drip tip, a massive triple adjustable airflow control at its base, and even has a top-fill rotary design with a lock button mechanism. To enhance its performance, it uses the performance-grade TFV8 Baby V2 Coil System, which consists of the Baby V2 S1 Single Mesh Coil and the Baby V2 Quad Coil. The V9 Max is easily the best vape pen I've ever used. I've had zero issues out of it and the S1 mesh coils are by far the best Smok coils I've ever tried. The massive 8.5ml tank is great and the battery last a long time between charges. 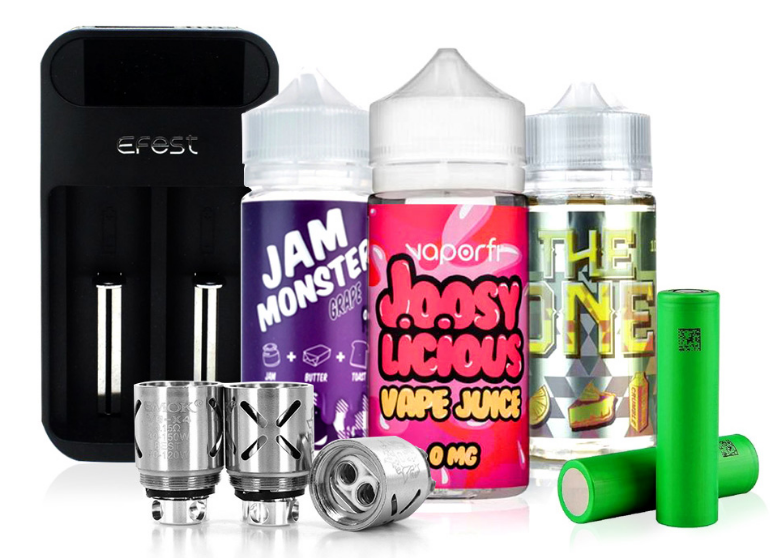 If you're looking for simplicity, flavor (especially with the S1 mesh coils), long battery life and great cloud production in a pen style vape than this is the kit for you! Love mine! SMOK’s Stick V9 is a very good device for someone who wants something portable. It’s made really well and doesn’t take up a lot of space in my pocket. This is definitely the best pen mod that I’ve tried. It seems to be very powerful and I like that the tank can hold a lot of liquid.